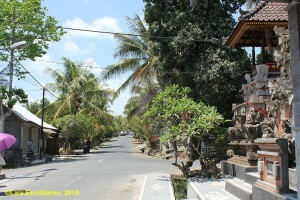 Pejeng, home of the FNPF headquarters, is a village 5 km outside the buzzing town of Ubud and unlike the latter is rather unknown by tourists. It is a small traditional village surrounded by beautiful rice fields and it also happens to be the biggest archaeological site in Bali with 44 temples (most of them declared National Heritage) and a Prehistory museum. 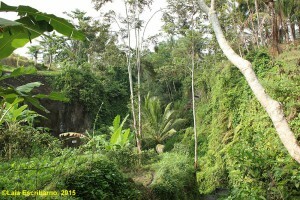 Pejeng is also a Wildlife Sanctuary and a paradise for birdwatchers. 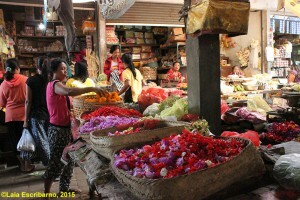 Downtown Pejeng is lively with a morning market and a night market and plenty of Warungs to taste Balinese and Indonesian food. Our main goal in Pejeng is to engage with the local community to protect the wildlife and their habitat, as well as support organic farming and develop sustainable tourism that will benefit the local population. 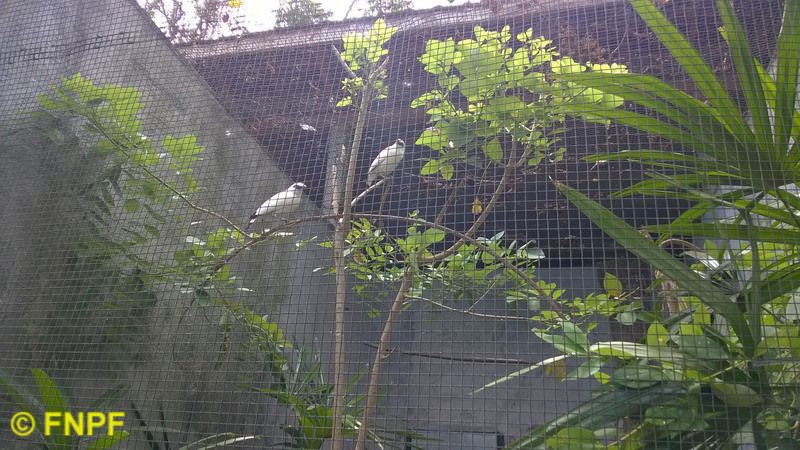 Here we breed the critically endangered Bali Starling (Leucopsar rothschildi). Desuden, we also breed other species of bird such as Black Winged Starling (Acridotheres melanopterus) and Pied Myna (Gracupica contra). We have two different types of cages to ensure a successful and sustainable conservation program. The first is the pairing cage where we put the birds to mate, lay eggs, and take care of their children. The second is the big cage where we train bird useful skills to survive in the wild such as: flying, hunting, choosing good diets, and avoiding predators. 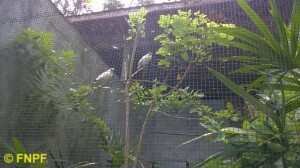 A pair of Bali Starlings in one of our cage. In Pejeng we work closely with the local community to protect the wildlife and habitat of this village. We and the local community agree that Pejeng must be protected from the massive tourism that currently happening in Bali. We do not want this little village turned into another commercialized tourist attraction that can destroy its nature and its culture. The challenge is real. 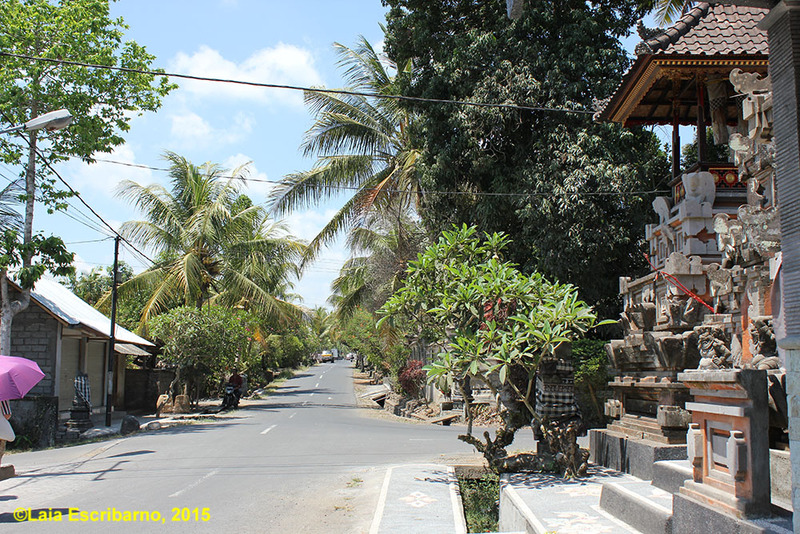 Everyday the population of Pejeng is witnessing that the mass tourism from Ubud is slowly creeping closer to their village border. A small creek full of tropical vegetation still protected by local wisdom. Welcoming mass tourism in the village can produce dire consequences. Pejeng is Bali’s biggest archaeological site. In this small village a group of Hindu scholars formulated the Balinese version of Hinduism which is an assimilation between the Hindu beliefs from India with the local Balinese religion that has been practice for thousands of years. 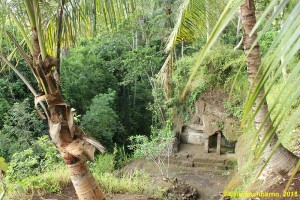 In other words, Pejeng is the birth place of Balinese civilization that we witness at this very moment. Som et resultat, Pejeng has so many important ancient artifacts hidden beneath their ground waiting to be found. Therefore building big resorts with huge swimming pools can be a nightmare because it may destroy some of the archaeological sites that have not been found. An abandoned ancient dwelling at Pejeng village. 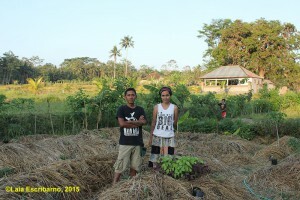 The backbone of our project in Pejeng is the community based eco-volunteering. In Pejeng, we have built a community center which will become the headquarters for our community development projects. We now invite many volunteers from around the world to participate in our volunteering projects. Because most of our volunteers will need long term accommodations, we arranged a business that can benefit the villagers in Pejeng village. We provide the villagers with a chance to rent one of their rooms to our volunteers. We will arrange all the booking and the payment while the villagers can concentrate on improving the readiness of their rooms. According to the agreement, 60% of the fee for the room will go to the villagers. The other 10% of the fee will go to the village, while FNPF will only get 30% of the fee. We hope this business model can prevent the expansion of mass tourism in Pejeng. We believe that as one of the biggest archaeological sites in Bali, Pejeng must be protected from the negative effect of mass tourism. Desuden, this community based hospitality can provide the villagers with a low risk source of income. Hence, the villagers might be convinced not to sell their farms to investors and keep their day job as a farmer while still being able to gain some money from our projects. Helping the community to build responsible and sustainable tourism is one of our main goals in Pejeng. Special thanks to Laia Escribano for helping us building this page.